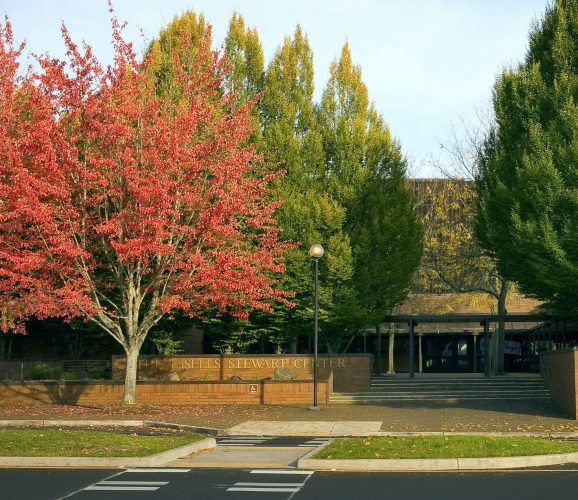 The conference will take place at the LaSells Stewart Center and CH2M HILL Alumni Center in Corvallis, Oregon on the campus of Oregon State University. If you are staying at the Hilton Garden Inn, parking is free in the hotel parking lot and the venue is within walking distance. The closest parking lot is located across the street from the LaSells Stewart Center at Reser Stadium. More details are provided below. Parking Garage: Located north of CH2M HILL Alumni Center at 26th Street and Washington Way (also accessible from SW Western Blvd.). Parking permits are required Monday through Friday, 7 am to 5 pm. Daily visitor passes can be purchased for $10 (permits are non-refundable), on-site at parking pay stations in designated parking areas or in advance. ORDER A PARKING PERMIT ONLINE HERE. Parking permits must be displayed on the dash of your vehicle at all times. For additional information about Transit & Parking Services at Oregon State University CLICK HERE.